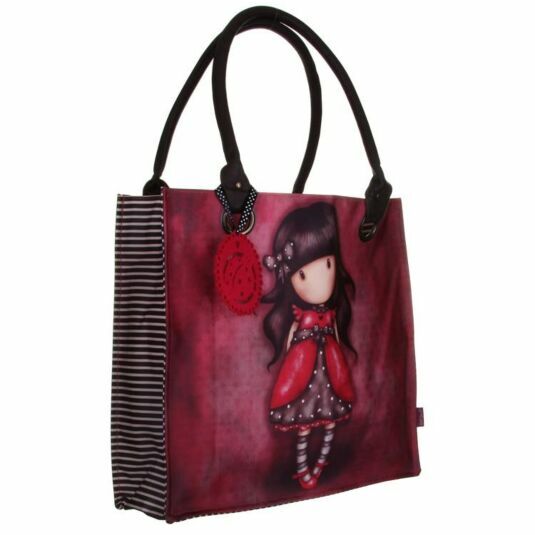 Carry around your Gorjuss things in this beautiful large canvas shopper bag. 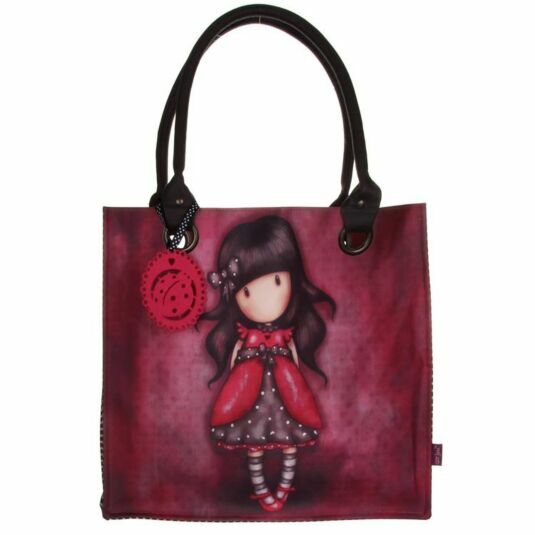 In rich colours this bag features The Ladybird design with one of the many stylish Gorjuss Girls. Made with a quality canvas fabric with a coated finish, the bag also has an inner zip, two sturdy handles and a press stud to close. It is the perfect way to carry around your things. 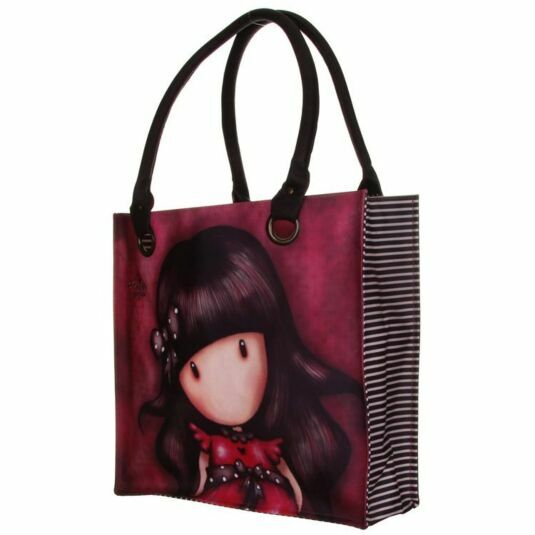 The bag also comes with a pink shaped felt attachment to really complete the Gorjuss design. It’s two carry straps are designed to be strong and are reinforced for strength to ensure you can shop until you drop!